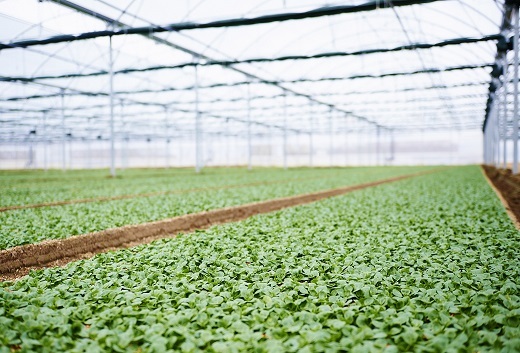 AngFlor is the UK's first significant production area of lambs lettuce and other baby leaf to have all year round supply capability. 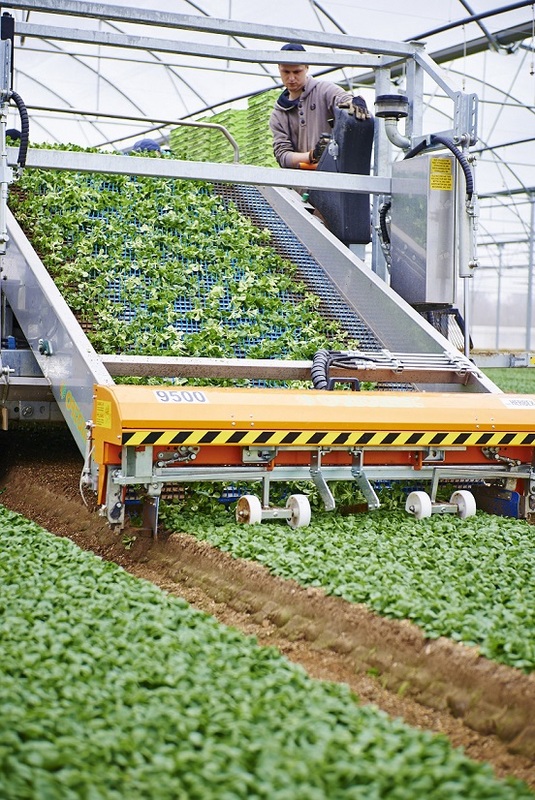 Angflor is producing lambs lettuce, rocket, chard and peppery cress. 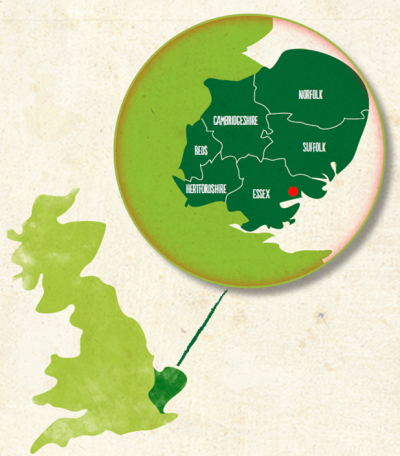 AngFlor is based at the Anglia Salads site near Colchester, Essex, with some of the best climatic conditions in the UK. 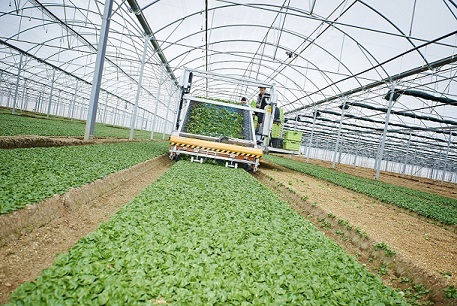 AngFlor is supplying exclusively to Florette UK & Ireland. AngFlor is quite difficult to find! There are detailed directions shown on the Location page. For more info, see this recent article in The Grocer. 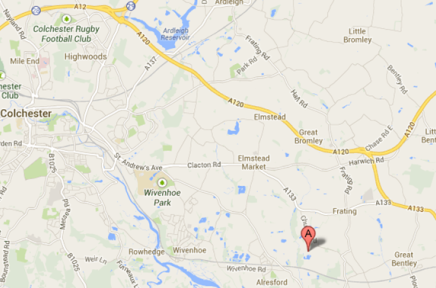 AngFlor has been carefully located near Colchester, Essex, where the climatic conditions are some of the best in the UK. AngFlor and Anglia Salads share the same site. However we ask that if you in a large vehicle you enter our site via Rectory Road and not via Church Road please. SatNavs will direct you via Church Road so you will need to amend the route on your SatNavs. Please also follow the instructions below. Once on the A12 follow road signs to Colchester and then look for signs for the A120, signed for Harwich. When you get to the Frating Traffic lights, turn left onto the B1029 and head south and follow the road round to the right onto School Lane (B1029). Head straight down this road until you come to a sharp bend to the left, there is a road opposite this bend (looks like a dirt road) you need to turn right down this road which is called Rectory Road. Approximately two or three minutes drive up Rectory Road there is a sharp bend to the right, opposite this bend is another dirt road, which should be signposted as Anglia Salads, turn left down this road and follow it round to the right, Anglia Salads should be ahead of you. If any part of these instructions are unclear please contact us at AngFlor on 01206 255001. 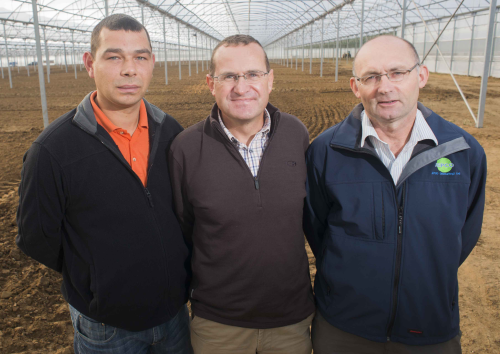 AngFlor is managed by a team of 3 who bring together the right blend of knowledge and expertise to ensure that this innovative project gets off to a flying start. AngFlor is a member of Speciality Produce, a producers organisation. Standen, www.standen.co.uk and Salmac, www.salmacltd.co.uk for the new machinery for the project. Work is now under way on planning for Phase 2 - a further 10ha - construction should start from early June 2014. To contact AngFlor, please use the Contact Us tab on this site. The AngFlor Tunnel project is the first of its kind to be built in the UK by IMA. Its large 9.6m bays and 6m high ridges make for a very light and airy growing environment. In addition, the 60 strong energy efficient inverter driven motors for the ventilation system make the whole place feel like an open field.